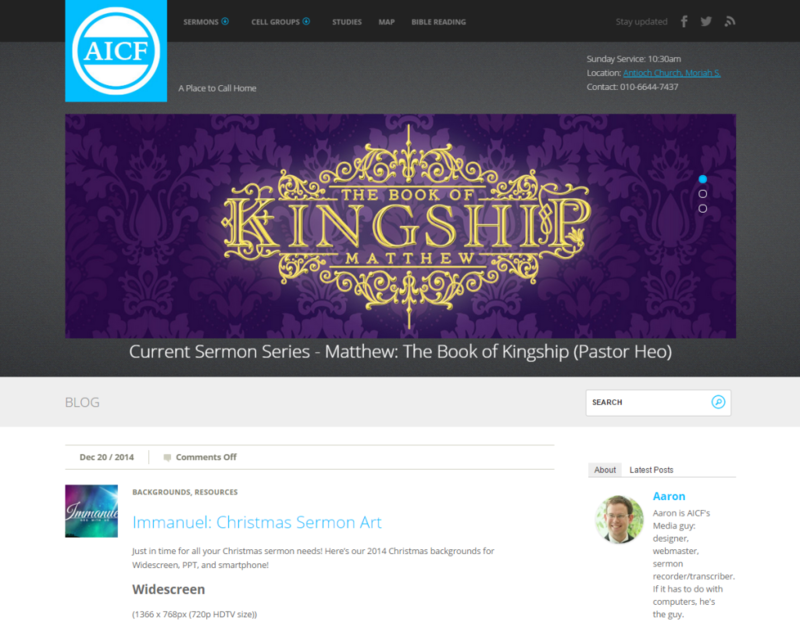 Ultimately, the church never really had enough members to sustain these kinds of features, so with the upgrade to WordPress in 2011, I let them all die. Besides, WordPress honestly has much better plugins to deal with the same kind of functionality, so if the church ever wants to implement them again, it’ll be simple. This was the first time I took over coding the church website. 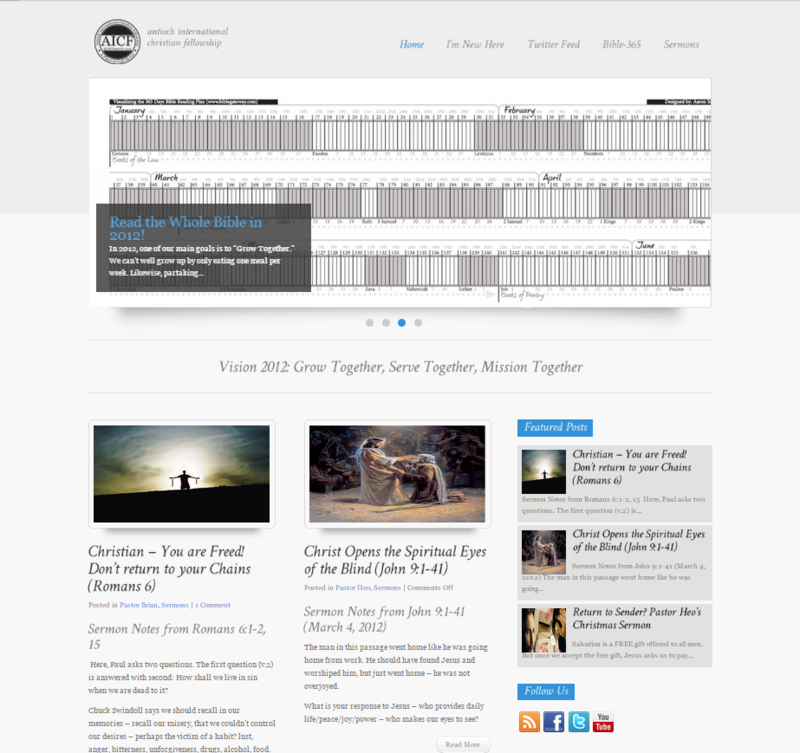 The pastor had previously built the site in Google Sites but I felt that it had too many different page designs (each page used a different style). 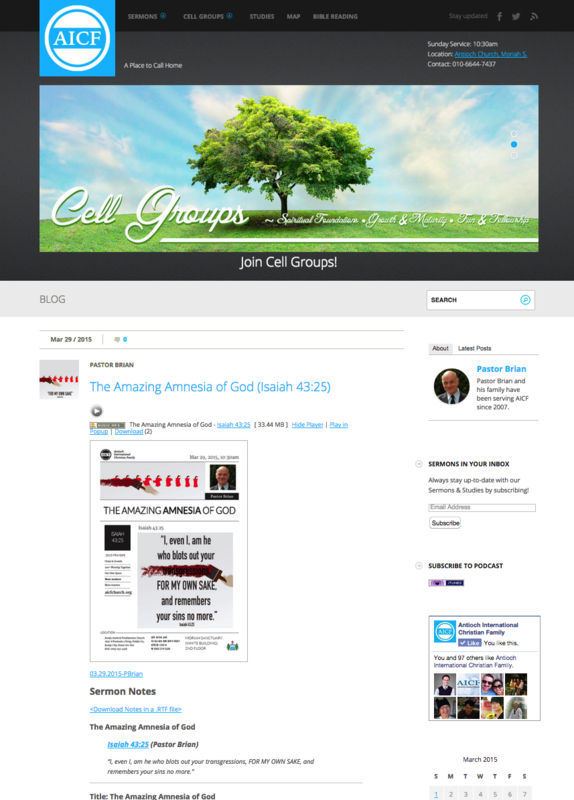 So, I offered to unify the design with the same template across all pages and transfer the previous site over. This was also the first time I tried doing a sermon podcast, but EVERYTHING was done by hand in Static HTML so it started eating up a significant portion of my time. 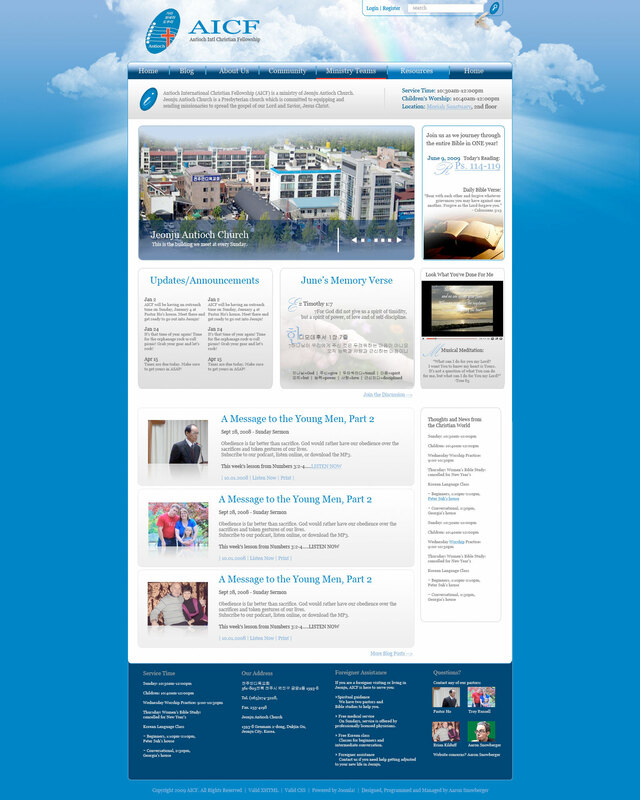 Eventually, prompted by the redesign of another site (TheJeonjuHub.com) into Joomla, I decided to work this site up in Joomla as well. You may have also noticed that each version of the websites above, I gradually modified the AICF logo.